Struggling jellyfisherman Dhiraj Om is praying for a good catch to make ends meet. So when a valuable pleasure robot called Naomi is caught in his nets, he senses the opportunity for a quick profit. But Naomi's owner, the brutal gangster Agarkka D'Souza, doesn't take kindly to his property being taken. Dhiraj's illicit deal thrusts him into a web of corruption stretching from London's seedy underworld to the Niger Delta. There, oil barons wage bitter war against Marxist dissidents, and Dhiraj and Naomi are hurled into violence. Can Dhiraj save not only himself, but Naomi, who has become not only his protector and his curse, but possibly something more? 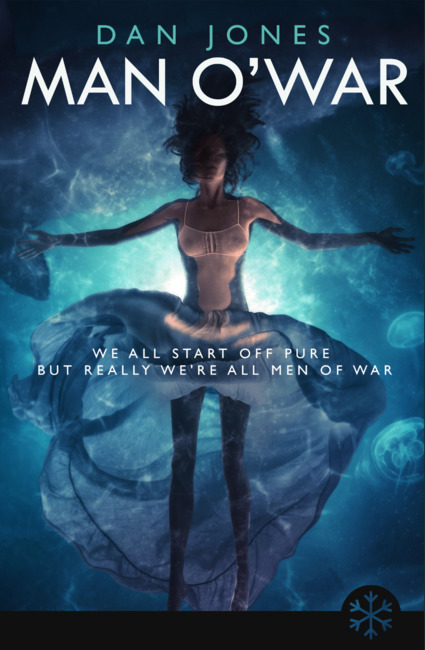 A savage, electrifying debut, Man O'War is a taut science-fiction thriller set in a near future where technology, humanity and violence collide.